I was recently sent a whole host of different types of Yoghurt to sample from those nice people at Total Greek Yoghurt. 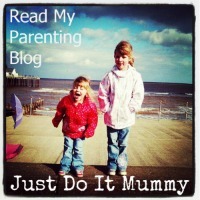 When the yoghurt arrived, I was pleasantly surprised to see such a wide variety of products and I busily set to work researching recipes that I could cook or prepare. Total Greek Yoghurt is produced from lots of cows milk and live yoghurt cultures. It's rich, mild, creamy taste rivals no other and it also contains no added sugars or sweeteners so it is very suitable for babies and young children. It takes four litres of soft pasteurised milk to make one litre of total yoghurt as all of the watery-whey is removed to leave a rich, creamy, thick yoghurt which doesn't have anything else added to it. 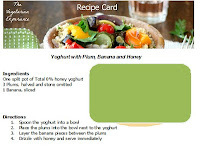 Total Split Pots contain copious amounts of various fruits or honey. With flavours like strawberry, blueberry, honey, and tropical fruits, and available in 0% or 2% fat, these are delicious, filling snack for any time of the day or night. 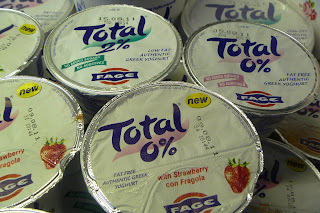 "Having sampled greek yoghurt in Greece, I thought that Total Greek Yoghurt was creamy, rich, and tasty. 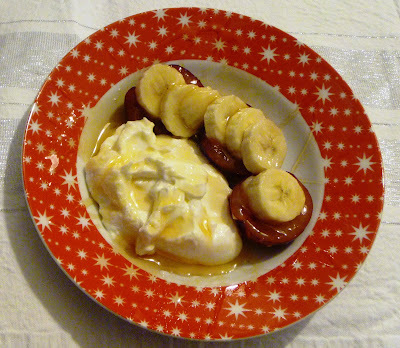 I felt that the amount of yoghurt in the pots was substantial and the side pots were plentifully filled - you really got a good amount of fruit or honey. The combination of the flavours was excellent - better than being mullered and I can't wait to eat some more". 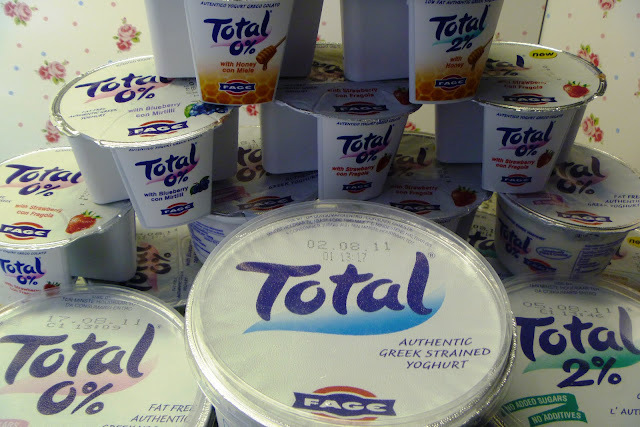 Even better from a vegetarian point of view, is the fact that Total Greek Yoghurt is very high in protein which means that it should fill us up for longer and help provide a more balanced, nutritious meal. 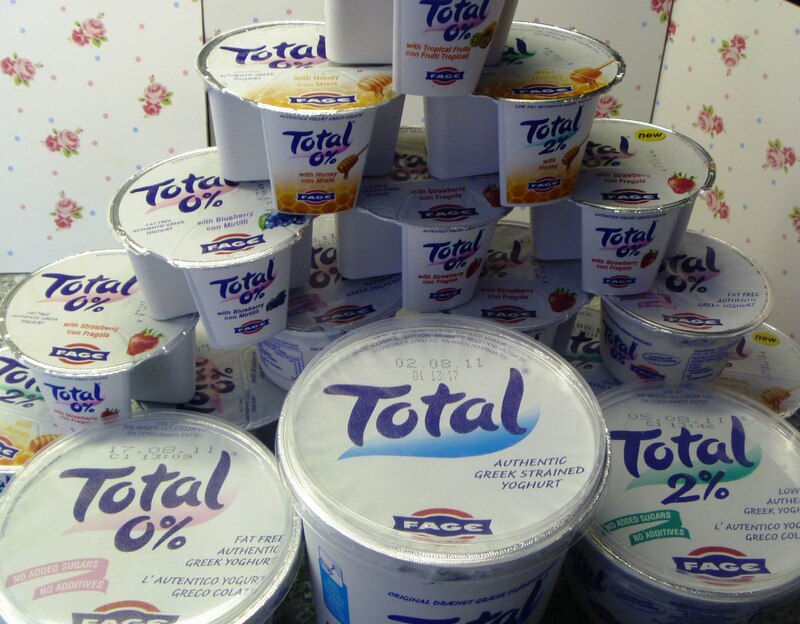 Total Greek Yoghurt is available in various sized pots from 170g up to 1kg and can be found at all of the major supermarkets as well as some local grocery retailers. It is also very versatile. You could mix it with mayo to make a lighter salad dressing, mix with cream cheese to make a cream cheese dip, mix with milk and banana to make a delicious smoothie, use it to cool down a curry, or even as a cooling treatment for a sting or bite - as I found out this week. 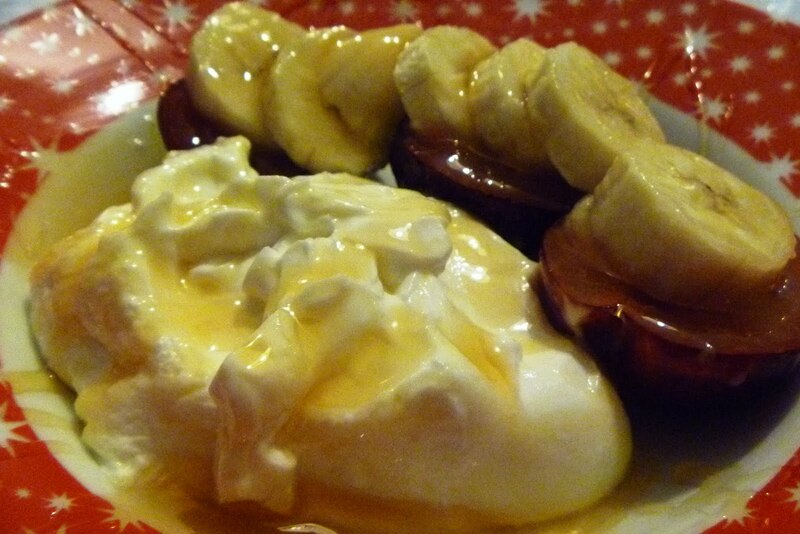 This is the first in a series of posts documenting recipes I have cooked or prepared using Total Greek Yoghurt. This simple dish can be made in a matter of minutes. 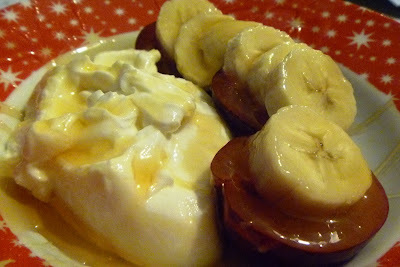 It makes a delicious pudding, ideal breakfast bowl, or snack for any time of the day. I always have Total Greek Yoghurt in the fridge. Primarily for Cooper, but I love it too. I am drooling over your recipe. Just perfect and now I am craving!